NAIROBI, Kenya, November 9, 2010 (ENS) – Shooting for a common goal, organizers of major sporting events, from the FIFA World Cup to the Winter Olympic Games, met this week in Nairobi to green up their games. During their biennial two-day conference at the headquarters of the United Nations Environment Programme, some 200 participants at the Global Forum for Sport and Environment, G-ForSE, reviewed the impact of environmental projects from the 2010 FIFA World Cup and the 2010 Youth Olympic Games in Singapore and discussed sustainability measures for future sports events. At G-ForSE, organizers shared expertise and experiences that can benefit the 2012 Olympic Games in London, the 2014 Winter Olympic Games in Sochi, Russia, the 2014 FIFA World Cup in Brazil and the 2016 Olympic Games in Rio de Janeiro. With a 16-year history in integrating environment and sport, UNEP advises host countries and organizing committees on how to integrate environmental considerations into the staging of major sports events. 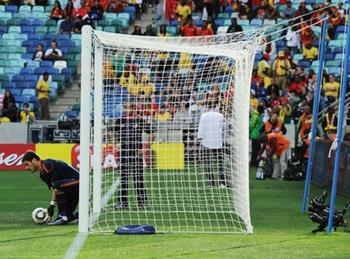 UNEP carries out environmental impact assessments both before the games start and after the final whistle. The environment of the 2014 Winter Olympic Games in Sochi, Russia, includes diverse habitats such as the Black Sea, the Caucasus Mountains and Alpine meadows. Following the recommendations of an expert assessment released by UNEP in 2008, the Sochi Olympics organizing committee relocated the proposed sliding center for bobsleigh, luge and skeleton events and mountain village away from its initial location to a less environmentally-sensitive site. But environmentalists in the Caucasus region say many once pristine ecosystems around Sochi are being destroyed to accomodate the 2014 Winter Olympics. For instance, the state corporation Olimpstroy, responsible for construction of Sochi venues, declared November 2 that it carried out relocation of “rare wildlife” from construction sites in Sochi’s Imeretinskaya lowland as part of its program of minimizing environmental impact of the Sochi Games. The relocation was announced in late October during UNEP’s monitoring mission to Sochi. Environmentalists called it “a PR stunt” conducted without a promised public discussion and without project documentation. Russian environmentalists and the European Green Party warn that unique ecosystems along the River Mzymta have been been almost completely eradicated as a result of preparations for the Olympics. They point out that despite numerous complaints, Olimpstroy allowed the new Dzhubga-Sochi gas pipeline to leak drilling fluid into Sochi National Park during construction in July. During the building of Olympic venues, the LEED green standards and eco-friendly materials are being applied; for a “zero-waste” games, waste is being collected, processed and reused; energy-efficient equipment is being purchased; and satellite observation systems are set up for constant ecological monitoring, the Sochi organizers say. In late October, the Sochi organizing committee held a four-day Green Carnation ecological film festival in October as the first event of a four-year Green Art cultural-ecological festival – part of the Cultural Olympiad in Sochi. In Nairobi today, G-ForSE delegates said a lot has been done to green up sport events this year. They pointed to UNEP’s engagement with the Indian Premier League, the work of the alternative energy commissions of the motor sports federations, and the UNEP-Puma® Play for Life Campaign on football and the International Year of Biodiversity 2010. This global initiative has been about raising awareness of biodiversity conservation among sports fans. At the close of the G-ForSE meeting, three African-based conservation projects that work with elephants, gorillas and lions were awarded a shared prize of US$800,000 as part of the Play for Life campaign. The three projects – in Nigeria, Zambia, Ivory Coast and Liberia – were the winners of a Play for Life online poll held during the World Cup, where football fans were asked to select their favorite conservation project. The winning trio includes UNEP’s Great Apes Survival Project, which works to save gorilla, chimpanzee, bonobo and orangutan populations from extinction in Africa and South East Asia. GRASP will use the donation to employ and train forest guards and help develop alternative livelihoods for forest communities in equatorial Africa. 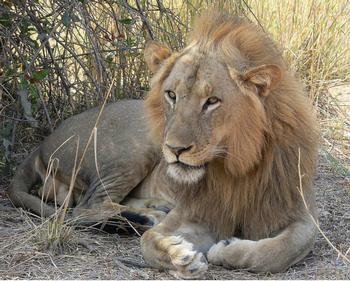 The African Lion: King without a Kingdom project will channel the prize money into a survey of Zambia’s lion population and the development of a national management plan for lion conservation. The Support for the Elephants project will use the award to help create biodiversity corridors supporting endangered elephants in the forests of Ivory Coast and Liberia. The award funds were raised through the sales of replica Unity Kits, the world’s first continental football kit. These outfits were designed for the 2010 FIFA World Cup in South Africa and worn by international stars such as Cameroon’s captain Samuel Eto’o and Emmanuel Eboue of Ivory Coast. G-ForSE participants also discussed new environmental measures being taken by smaller sports organizations. For instance, the international governing body for power boating, the Union Internationale Motonautique, UIM, is reducing polluting emissions and greenhouse gases. A UIM clean fuel task force is promoting the use of environmentally-friendly alternatives to fossil fuels such as bio-ethanol, which produces fewer carbon dioxide emissions and results in less water pollution during races. 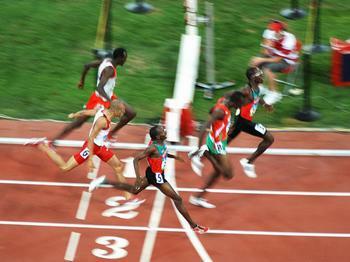 At the finish line of the Men’s 800m final, Beijing Olympic Games August 2008. Wilfred Bungei of Kenya claimed the gold, Ismail Ahmed from Sudan the silver, Alfred Kirwa Yego of Kenya the bronze. UIM has signed a cooperation agreement with UNEP to further its range of environmental initiatives and to share information and expertise. G-ForSE was preceded by the African Seminar on Sports and the Environment held at UNEP headquarters on the weekend. National Olympic Committees from 40 African countries agreed to adopt a series of resolutions to develop sport as a vehicle to promote peace and the environment on the continent. The resolutions include a commitment from National Olympic Committees to place environment and sustainability as priority issues on their national developmental agendas and to invest in education programs for young people on the environment. The sporting goods industry also has played a part in integrating environmental considerations into their operations. Several sporting goods companies have developed environmentally friendly sports apparels and kits for teams that participated in the World Cup. As part of the Green Goal initiative for the 2010 FIFA World Cup, UNEP partnered with organizers on sustainable public lighting projects in six host cities across South Africa. The UNEP-PUMA collaboration resulted in 11 national teams offsetting their World Cup emissions, while the Green Passport, distributed to 100,000 football fans, encouraged World Cup visitors to make sustainable travel choices while in South Africa. Green Passports, packed full of local, eco-friendly tips and advice for travelers, have been introduced in Brazil and Ecuador and new campaigns are about to begin in Costa Rica and Israel. An initiative of the UNEP-backed International Task Force on Sustainable Tourism Development, the Green Passport Campaign helps tourists minimize their footprint by choosing the least polluting form of transport, finding low-impact accommodation options, improving their energy efficiency at destinations, offsetting the inevitable carbon emissions of their trips, and acting to help improve livelihoods in host communities.